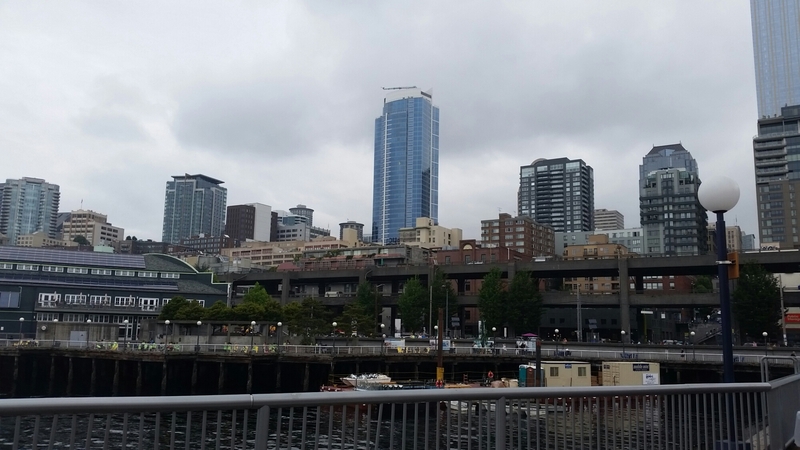 The next day was our day to explore Seattle. We caught the bus and took it into downtown. After brunch we explored the Seattle Art Museum, then got lost and wandered around Pike’s Market. 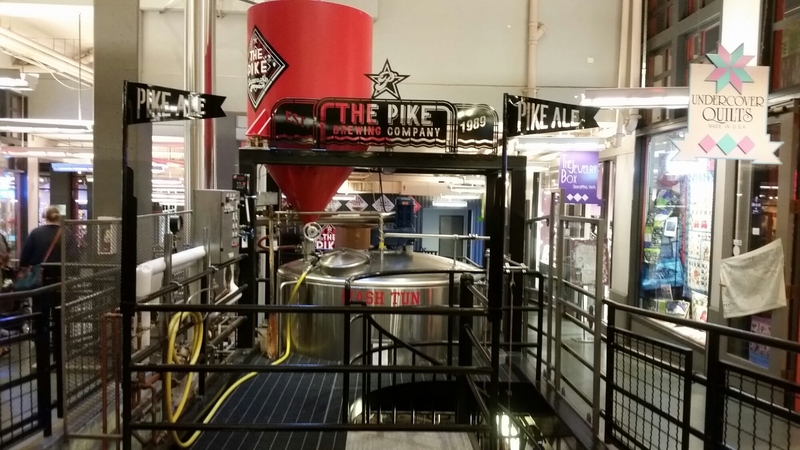 Unfortunately we didn’t stick around for the Pike Brewing company, the whole market was overwhelming and unbelievably touristy. 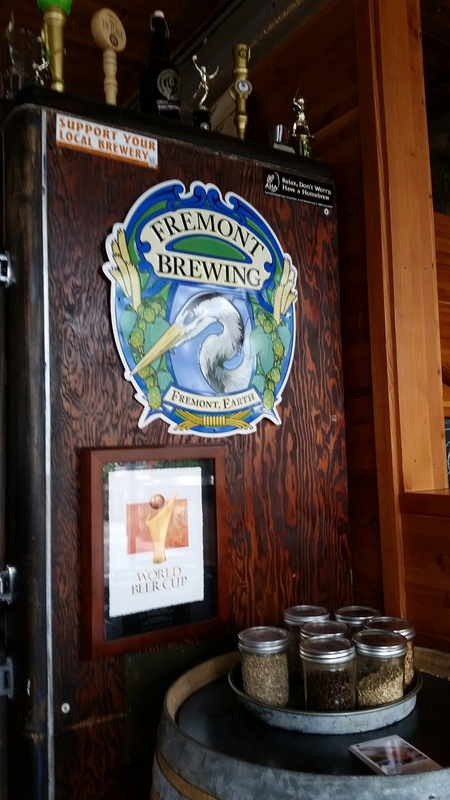 We caught a cab and headed on to Freemont Brewing. Nice outdoor section, but it started to sprinkle so we grabbed seats inside. 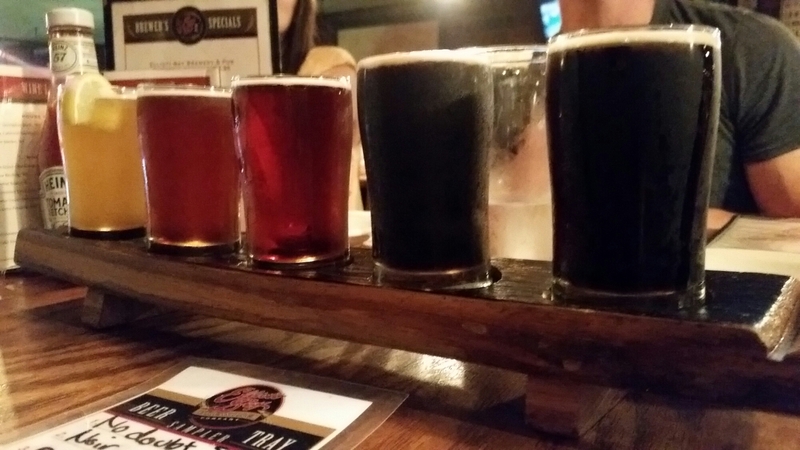 I ordered a tasty flight. 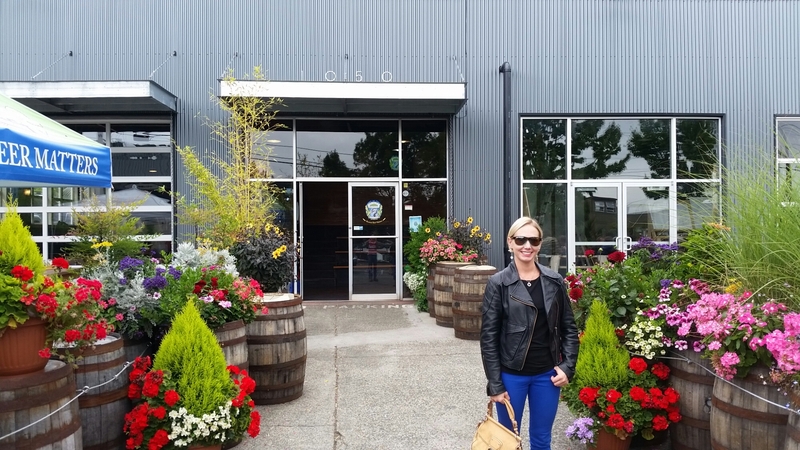 On our walk over to the next brewery, we saw a tiny little brewery in a house and decided to stop in for a beer! 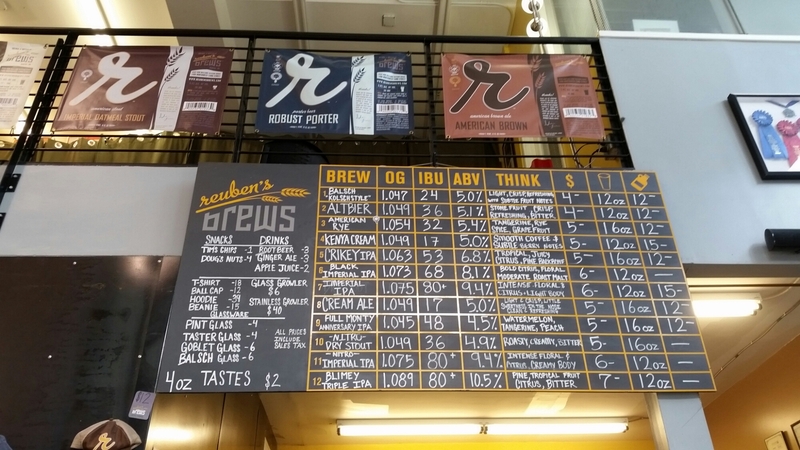 And after a nice, sobering walk we made it to our next brewery destination, Reuben’s Brews. 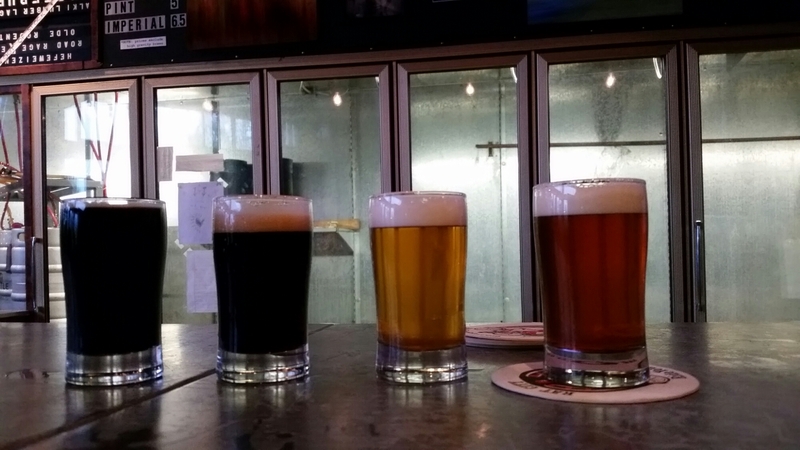 They had quite a few beers available, but most appeared to be hoppy beers with high IBUs. 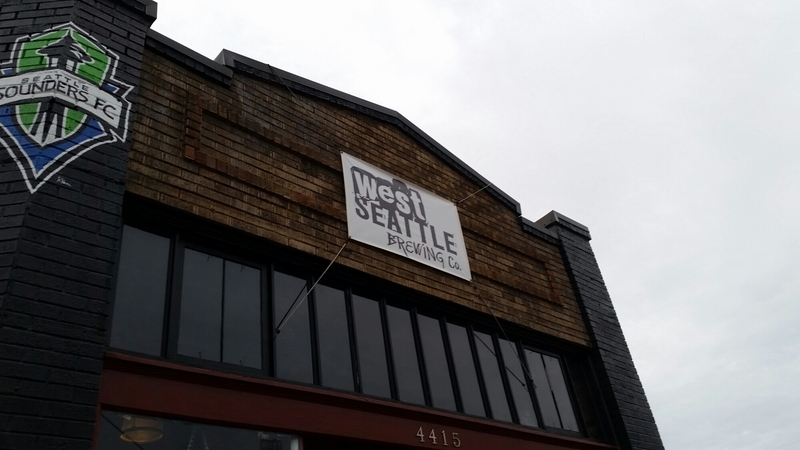 We left at just the right time to grab a bus heading back to West Seattle and made a spur of the moment decision to visit West Seattle Brewery, which had just opened! This was such a good decision, it was my favorite brewery of the day! The beer selection was more to my liking. Really well done beers, great for the style. Cool atmosphere. I felt at home here. 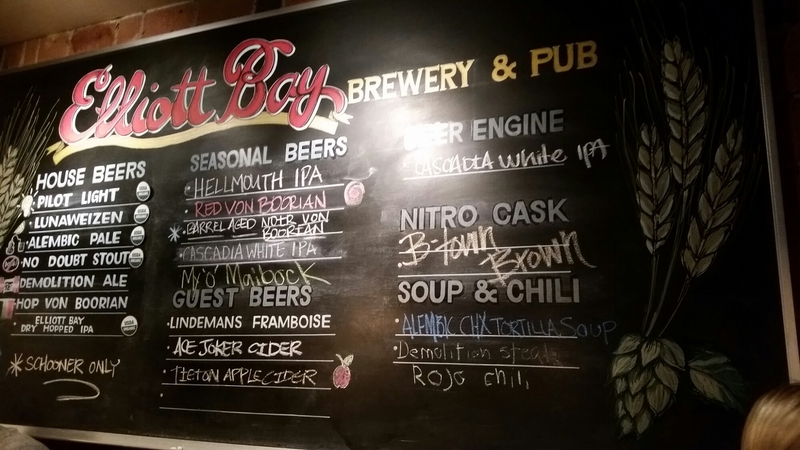 If I lived in West Seattle I would certainly be a regular. 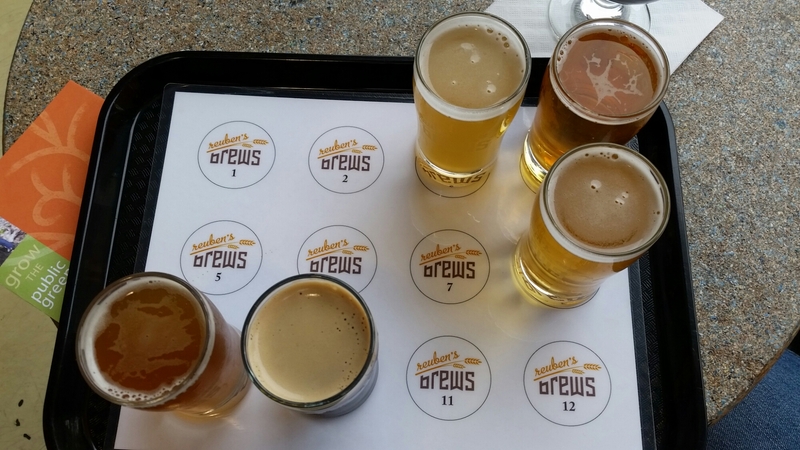 That sums up our grand tour of Seattle breweries, we didn’t hit them all (that would be crazy!) but we made a valiant effort! 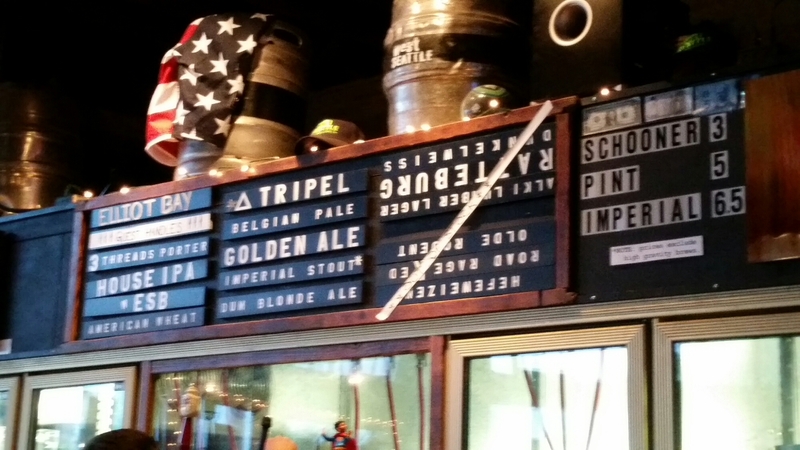 After the drive back, and a glorious shower, we walked to West Seattle and hit up the Elliott Bay Brewery. 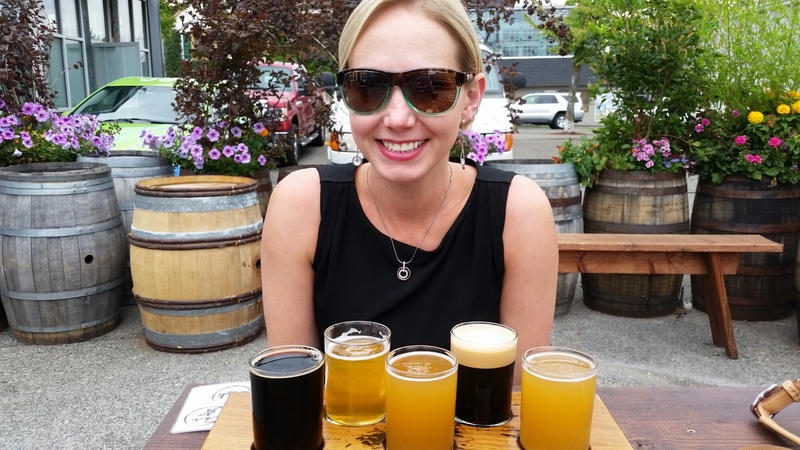 I saw quite a few beers that interested me, so naturally I ordered a flight. The food was only ok, but the beers were quite good! 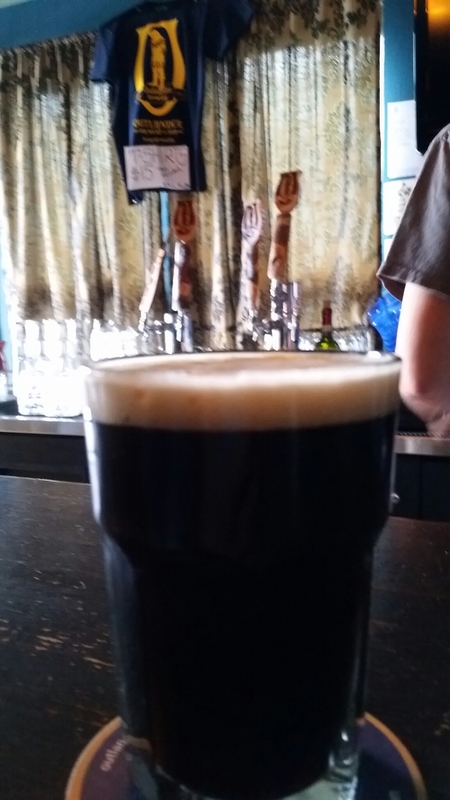 Especially their darker beers, I really loved the Noir Von Boorian!